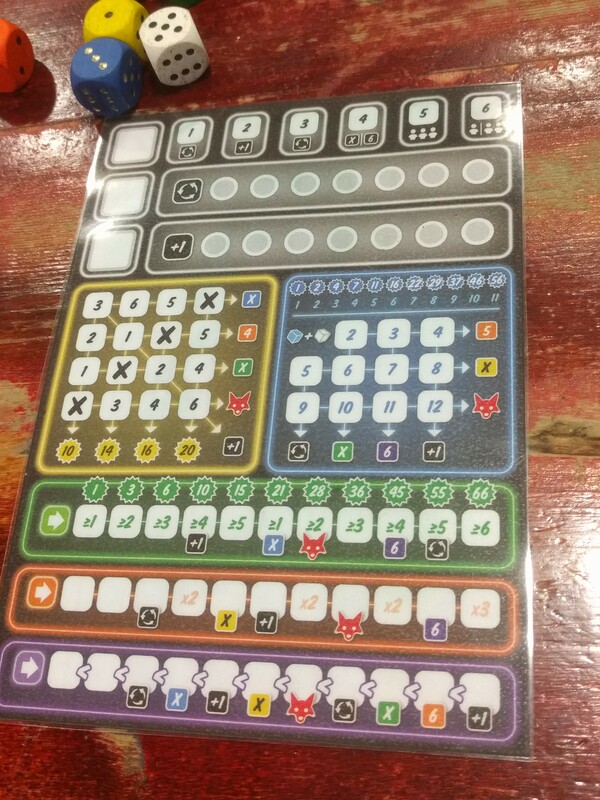 I was browsing while we were waiting for the third player to arrive, and saw Ganz Schön Clever, a roll-and-write game that I'd been meaning to try. It's entirely without theme: just roll the dice, and pick one to score (in various different ways). 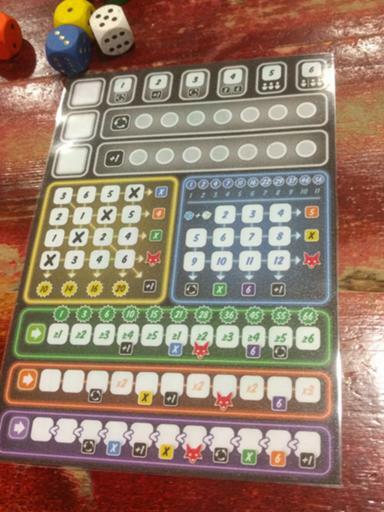 I had a lot of fun with this (and was too busy playing to take pictures of the game in progress), and I'll probably buy it at some point - though I'll probably laminate some score sheets, as the shop copy had. It's possible to play a solo version of the game free on-line here, though it'll help to read the rules (there's an English translation on boardgamegeek) first. We tried for games off a friend's request list, but they'd all been moved to the mobile games library; I spotted Unfair on the shelf, and wanted to see what had persuaded Cathy of Our Turn Podcast to rate it equal to her favourite Firefly. Well, I wouldn't put it that high, but I did enjoy it: again, I was too busy to take pictures during the game. 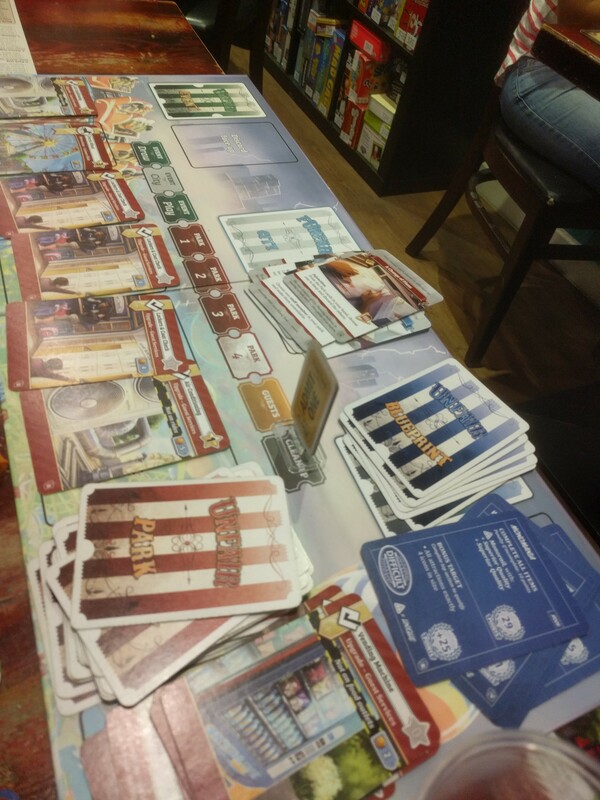 You're building an amusement park, and trying to build lots of upgrades on your various rides and other attractions; you can also pick up blueprint cards that give you points for meeting specific goals, and event cards to give you a benefit or mess up your opponent. It's fairly abstracted but with enough theme to keep things going, and I'll definitely play again. 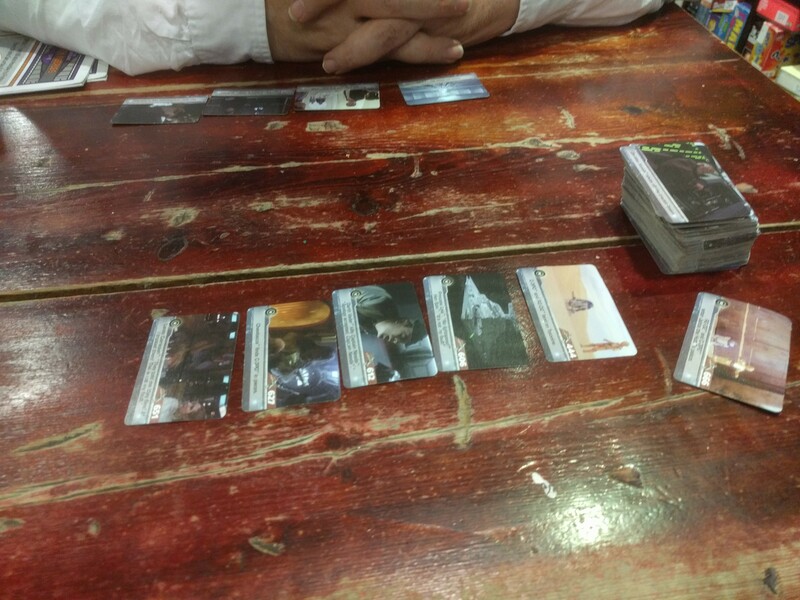 We finished off with Timeline: Star Wars (the original three films, none of this new stuff), which I won easily. I want to go home and re-think my life. [Buy Ganz Schön Clever at Amazon] [Buy Unfair at Amazon] [Buy Timeline: Star Wars (4-6) at Amazon] and help support the blog.